GreatCall today announced the Jitterbug 5, its latest senior-friendly handset. The Jitterbug 5 is a traditional flip phone, but it has access to GreatCall's health and wellness services, such as 5Star, medication reminders, brain games, urgent care, and check-in calls. The device has a 1.3-inch external screen that displays a clock and notifications, and a larger 2.2-inch main screen. 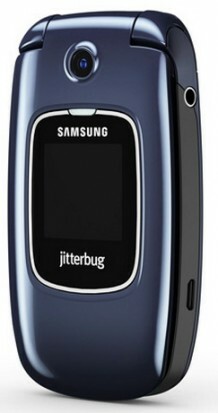 The Jitterbug 5 includes a 1.3-megapixel camera, speakerphone, and large buttons for easy use. It has a standard microUSB port for charging and a 3.5mm headset jack. The Jitterbug 5, which is made by Samsung, costs $99 and service plans start at $15 per month.